Next: SHOULD EXPECTANT MOTHERS TAKE CRACK COCAINE? Alex Wintershot has signed a lucrative contract with Ponzi Productions, making him one of the highest paid DJs in America. "They're paying me a $100,000 per show for pressing play and then bopping my head around," says Wintershot. "Pressing a single button might seem easy, but there's a lot of skill involved. I've spent years building up my wrist strength and finger jabbing skills." John Jacobs has been coaching Wintershot in the art of pressing play for nearly a decade. "Some DJs mix music, they match beats, they do all sorts of ridiculous things. However, at the end of the day, the only thing that really matters is pressing play, and none of them are as good at that as Wintershot. He's a prodigy. A genius. I've never seen anything like it." Wintershot says he knows how to press over a dozen different play buttons. "I can press play in VLC, in Winamp, in Itunes, in Quicktime, in Windows Media Player. 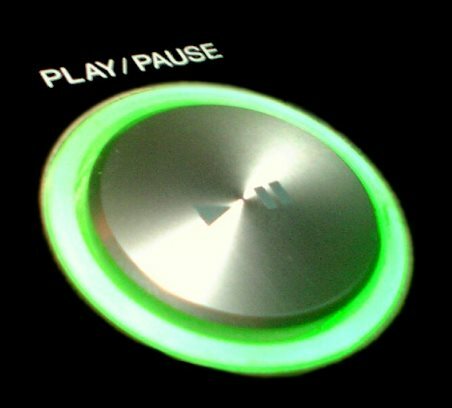 I can press the play button slowly, I can pound on it, I can tickle it, I can tease it. There's a lot of artistry involved in pressing the play button, a lot of room for creative inspiration. Sometimes, I like to just dangle my finger in the air before I press the play button. That really drives the crowds wild." Mr. Jacobs believes DJs shouldn't waste their time on non-essentials. "Wintershot is proof that you can succeed as a DJ without learning how to use a mixer." Robert Kahn, a manager at Ponzi Productions, agrees. "Mixing isn't everything, and Wintershot is proof of that," says Kahn. "We expect great things from him. He's going to be a massive star. He's the biggest thing to hit the dance floor since Michael Jackson. You haven't lived until you've seen Wintershot bop his head while jabbing a laptop with his index finger. It's transcendent." Daisy Lisbett has been following Wintershot's career for the last five years. "He's really grown as an artist," says Daisy. "At first, his shows weren't all that special. But now, watching him press play is almost a religious experience. If you haven't seen him perform, you don't know what you're missing out on."